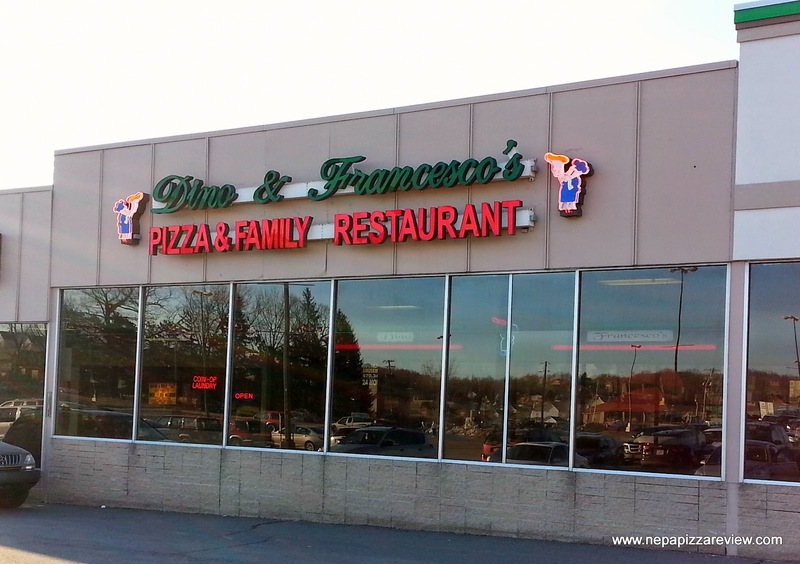 Dino and Francesco's Pizza and Pasta House in Moosic (not to be confused with Dino and Francesco's Pizza and Pasta House in Clarks Summit - no affiliation) has been a fixture in the Kmart shopping center for years. It's easy to get to, has plenty of parking, a huge storefront, plenty of seating, and is just a nice place to have a casual meal. How do I know this? 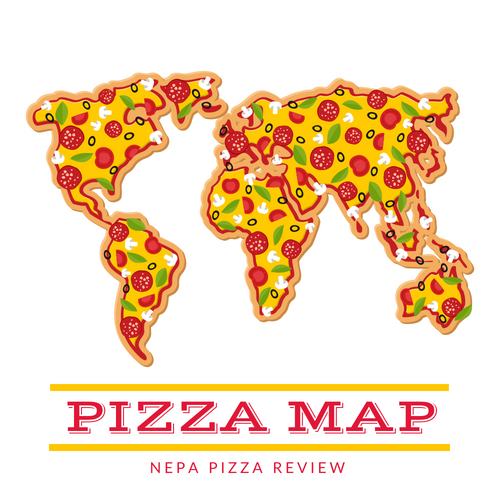 Because I have been there a few times in my day, but never for a pizza review. On this day, I had the first lady with me, and I was pretty certain that this style of pizza would be right up her alley, so we decided to grab dinner there. We walked in and were seated immediately by our friendly hostess. The thing that struck me was how large, comfortable, and relaxing the dining room was. It was also an early weeknight, and the dining room was pretty full so that was a good sign of what was to come. More often than we should, the first lady and I get in the mood for pizza and wings, so we placed an order for a large New York style pizza and an order of mild wings. Our friendly server was courteous and brought our wings out in no time. We devoured these quickly as they were pretty enjoyable. 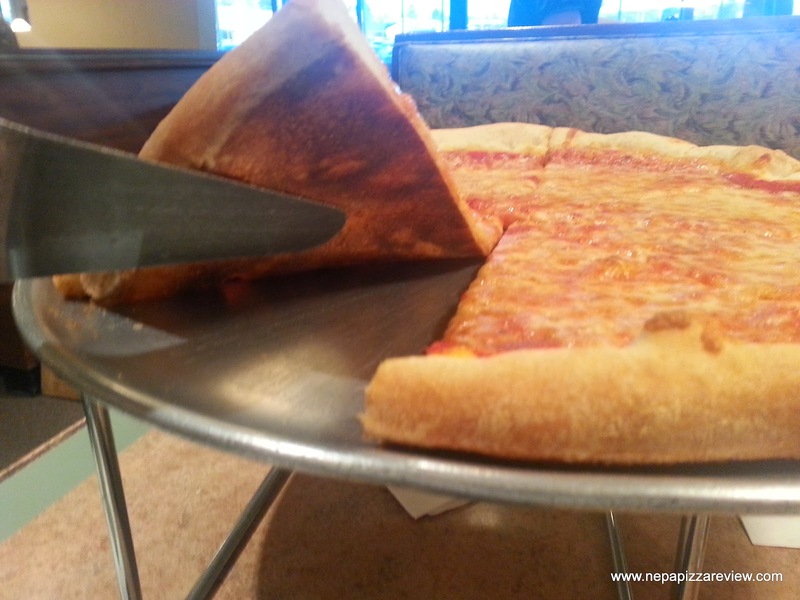 Some time passed before our pizza came out, and when it was sat down, we could tell that this didn't exactly go directly from the oven to our table which does happen from time to time in the pizza business - it's happened to many of my pies over the years. 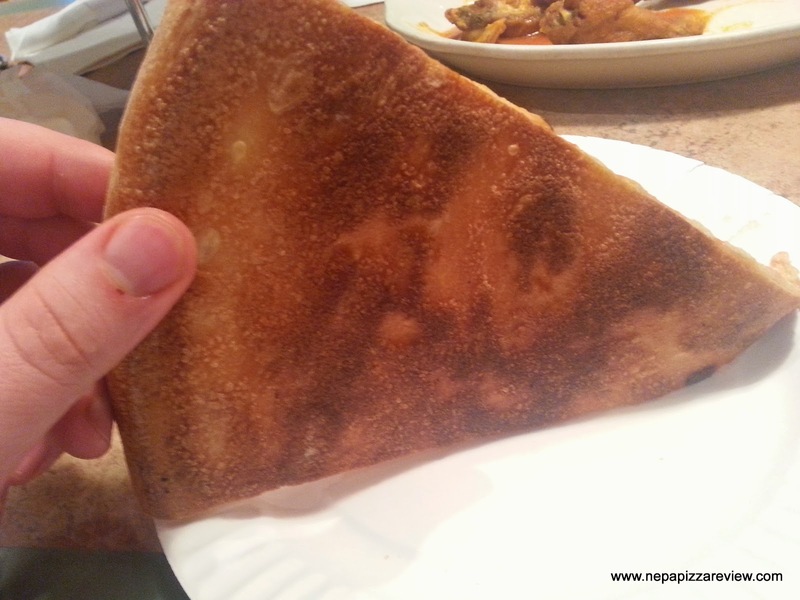 The pizza wasn't all that hot, and the crispiness was sapped out of it, which was a bit disappointing because I know this pizza and when it's fresh it is very good. It wasn't to say that this particular pie wasn't good, but it would have been much better had the delivery been expedited. 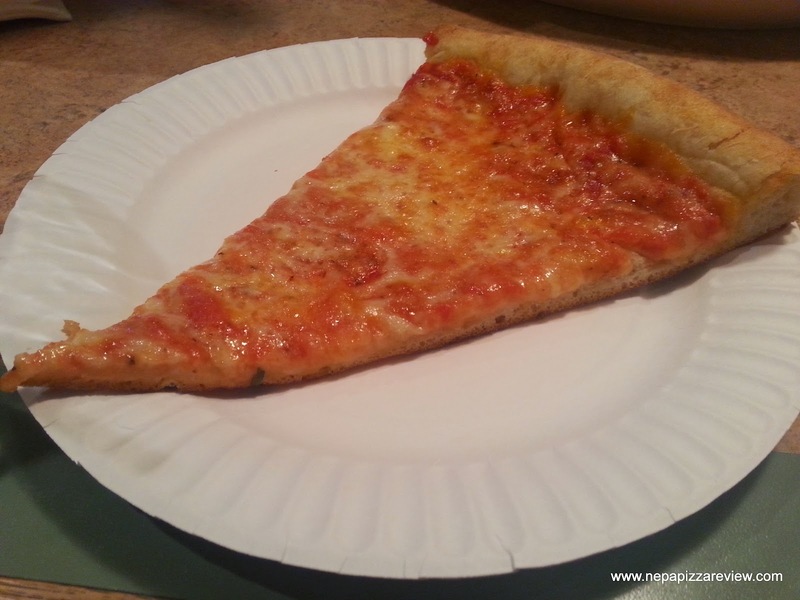 Since I don't feel this is representative of a true D&F pizza, I'll describe to you what I normally get when I go there - a thin, light, crisp, tender crust that is really satisfying. Their trademark sauce is slightly sweet and is compatible with most people's taste buds, and the cheese packs a ton of flavor. When this pizza is on (which it usually is) it's a very good pie that I do recommend. The bottom line is that Dino's serves up a quality pie that I happened to catch on a slightly off day. This happens all the time in the restaurant business, and I don't really think it's that big of a deal. 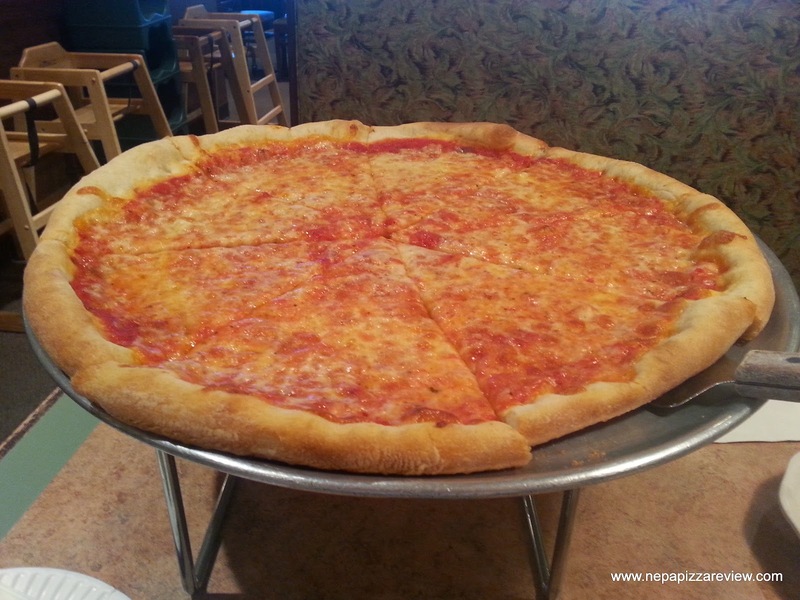 Dino's is a wonderful restaurant to grab a pizza, hoagie, or even a nice pasta dish. The prices are pretty reasonable and you really can't go wrong with this longstanding establishment. So get there, give it a try and share your thoughts with me in the comment section below!